Jason Pritchard was denied in his quest of securing his best ever finish in the FIA World Rally Championship (WRC) this weekend. A calamitous error of judgement by officials and marshals meant he was forced to retire during Stage 16 at the start of the Sweet Lamb. A ‘jump’ on the stage, which also ruined fellow Welshman Elfyn Evans Rally, should have been brought to all drivers’ attention on approach, however this didn’t happen and Pritchard’s previous good form over the first two days unfortunately counted for nothing. 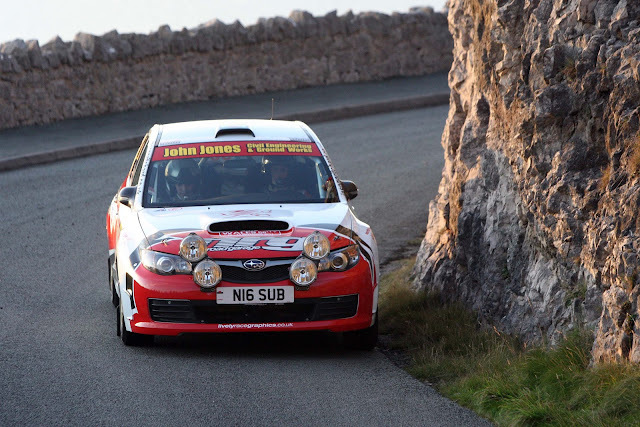 This year's Wales Rally GB included a considerably revised route compared to previous years - following a Ceremonial Start in Llandudno, Thursday’s stages were on the spectacular winding cliff-face road around the Great Orme headland on the North Welsh coastline - a stage not used on the event for 30 years. The 1150-mile Rally ventured southwards with the high speed action on many of Wales' most renowned forest stages and the event culminated with a Ceremonial Finish in Cardiff on the Sunday. “I was feeling very relaxed during Saturday’s stages, we were really up on the pace and I could feel myself getting quicker as the day progressed. That’s why it hurt so much to go out the race in the manner that we did.